Why Repurpose Your Blog Posts? 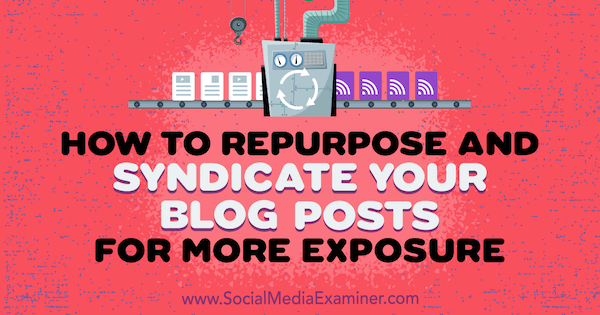 Repurposing blog content can be a confusing task for even seasoned content creators. On the one hand, the benefits are clear: your content has a better chance of being found when it appears in numerous places online, and as such, so does your business. On top of that, getting your content published in several locations can be a powerful way to drive traffic back to your website.